Developer offers greeting card maker software utility that generates bulk amount of colorful, customized and eye-catching greeting card images consisting of selected content as per the occasion and events like Christmas, holidays, exams, weddings and anniversary etc. Professional greeting card designing utility produces beautiful eye-catching greeting card images by providing user advanced greeting card developing tools like brush, pencil, line, rectangle, ellipse, and other different shapes for creating elegant looking personalized greeting card images. Efficient greeting card maker software provides a number of greeting card printing options for producing clear high-resolution and elegant looking greeting cards of desired shapes and dimensions like rectangular, elliptical, round rectangle, circular, heart shape etc. Easy to operate greeting card generating software empowers user to design customized greeting card images providing user friendly interface having graphical context help and support menu through ought designing process making non technical user to operate card designing process with ease without any special technical training. Powerful and affordable greeting card maker software allows user to design and produce colorful pretty greeting cards with help of professional card designing guide and provides user with an advanced option to upload designed greeting card over public website account making it displayed for friends and family members for wishing on various festivals, events and occasions. * Greeting card generating utility helps you through ought the process with card designing guide. * Card designing software creates cards having personal and professional customized matter. 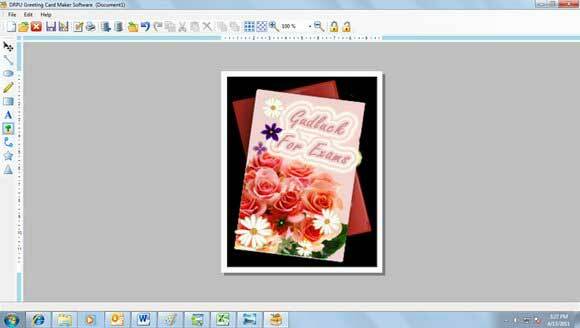 * Greeting card maker software designs bulk amount of greeting cards with graphical user interface. * Card maker software provides advanced printing properties creating desired shape and size greetings.